Having spent some 50 years as an organic chemist with an interest in medicinal plant chemistry in South Africa it was relevant now to ask three questions, (1) when were natural products first utilised, (2) who were the people involved, and (3) what is the status quo? Based on older literature published in the South African Journal of Chemistry, information gleaned from attendance at innumerable chemistry conferences, and relevant literature in university archives, a great deal of information was gathered to answer the first two questions. For example, that the first veterinarian to treat cattle diseases caused by poisonous plants in the Eastern Cape was Dr Jotella Soga in the 1890s. Contributions from other prominent scientists such as Marais, Rindl, Rimington and Warren followed. From about 1940 to the 1990s, researchers concentrated mainly on the isolation of new compounds from local plants for which some indigenous knowledge was recorded. Foreign chemists also arrived and did a fair amount of 'exploitation' of natural products. Thus, the anti-cancer compound combretastatin was first isolated from the indigenous tree Combretum caffrum. Plant chemistry in South Africa has blossomed in the last decade, with many students from previously disadvantaged backgrounds, but with a keen interest in muti or medicinal chemistry, entering the field. Recent findings have rekindled the belief that a major development in natural products would at last emerge from Africa. Organic chemistry just now is enough to drive one mad. It gives the impression of a primeval tropical forest, full of most remarkable things, a monstrous and boundless thicket, with no way to escape, into which one may well dread to enter. Researchers are thus challenged to find treatments for HIV/AIDS and other fatal diseases, amongst the indigenous medicinal plants of South Africa. South African researchers have taken up this challenge in a vigorous fashion. Southern Africa is home to over 30 000 species of higher plants and three of the richest floristic regions in Africa, the so-called 'hot spots': the Cape Floristic Region, the Maputaland-Pondoland Region and the Succulent Karoo Region. There are also several smaller regions rich in plants. It is reported that 35 000 - 70 000 tonnes of plant material are consumed in South Africa each year, so it is no wonder then that some plants are close to extinction. South Africa's indigenous plants are not only used for decorative (e.g. proteas) and commercial (e.g. black stinkwood and tamboti furniture) purposes, but about 3000 species are also used as medicines, mostly by traditional healers. The use of natural products for medicinal purposes took shape in the late 1800s and early 1900s. At this time, two 'industries' were the mainstay of economic growth in South Africa: gold, which had been discovered on the Witwatersrand in 1884, and agriculture - in the form of maize, wheat and related products, together with extensive stock farming. Stock farming was plagued by severe stock diseases which led to the deaths of thousands of cattle and sheep between 1890 and 1929. Poisonous plants grazed by the animals gave rise to diseases with very descriptive names such as slangkop poisoning (caused by Scilla natalensis and related Scilla species), stywe siekte (caused by Crotolaria burkeana), geel dikkop (caused by ingestion of devil's claw, Tribulus terrestris) and vermeersiekte (caused by ingestion of the plant Geigeria aspera). Geigeria aspera led to the death of a million sheep in 1929. The impact of these diseases, coupled with the earlier rinderpest epidemic (in the late 1890s) which not only killed cattle and sheep but also decimated veld animals such as buffalo, giraffe, eland and kudu, placed a great strain on veterinarians and medical personnel. The saying 'cometh the time, cometh the man' was never truer than during those trying years. Real pioneers in the field who were trying to establish the chemistry of the poisons causing all these diseases were, amongst others, Dr D. Hutcheon2, Sir Arnold Theiler3, Dr M. Rindl4, Dr C. Rimington and Dr J. Roets5. Special mention must be made of Dr J.S.C. Marais6 who solved the mystery of the gifblaar ('poison leaf', Dichapetalum cymosum), which is highly toxic to sheep, with an LD50 of between 0.25 mg/kg and 0.50 mg/kg. Marais isolated the toxic component in D. cymosum - monofluoroacetic acid (CH2FCO2H), which was the first record of a fluorinated compound found in nature. All of these researchers were from the Onderstepoort Veterinary Research Institute and were responsible for this Institute becoming known worldwide. One of the last remaining mysteries of this era was the active component in Geigeria aspera which caused vermeersiekte. The active component was discovered by Professor Guido Perold7 in 1957 (Figure 1). Perold was then at the National Chemical Research Laboratory (NCRL) of the Council for Scientific and Industrial Research (CSIR), and the work that led to the discovery was done in collaboration with colleagues from Imperial College London. Much of this early work appears in the monograph of Professor D.G. Steyn8 and was further reviewed by Mullholland and Drewes9. At the same time as these early researchers were busy with their work, Dr Jotello Festiri Soga, the son of Rev. Tiyo Soga, was quietly applying his medical and indigenous knowledge to help rural farmers in the Eastern Cape combat cattle diseases rife in that area. Dr Soga obtained his degree at the College of Veterinary Medicine at the University of Edinburgh in 1886 and was the first Black South African veterinary surgeon. 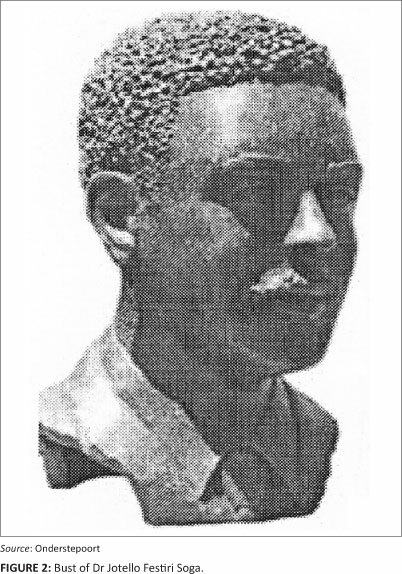 The bust of Dr Soga (Figure 2) today has pride of place in the garden at the Onderstepoort Veterinary Institute. 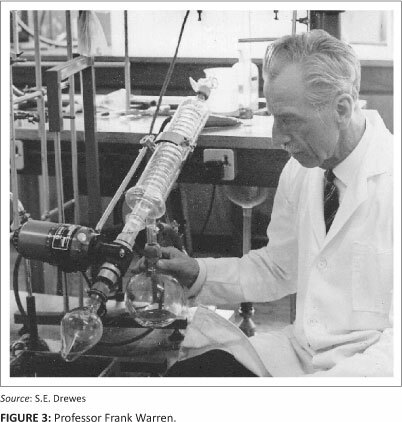 The era between 1950 and 1990 was one in which natural products research changed drastically. No longer were chemical structures unravelled largely by degradation followed by the laborious linking together of the pieces; this period witnessed terms such as 'nuclear magnetic resonance spectroscopy', 'high-resolution mass spectrometry' and 'high-pressure liquid chromatography' become household words. However, other changes in the direction of this research now became obvious. No longer was there the same concern with curing livestock diseases - human health, and methods of maintaining health, took centre stage. With the recognition of HIV/AIDS as a widespread disease in 1981, many Western researchers started re-examining natural products as a possible source to combat the pandemic. Traditional healers also became involved in seeking a 'natural' cure, but so far these efforts have come to nothing. Whilst HIV/AIDS has perhaps dominated the scene, natural products have continued to be a fruitful source to alleviate other illnesses which are responsible for the deaths of millions of people, particularly in Africa. These illnesses include malaria, for which Artemisia annua from China has yielded the very valuable artemisinin,10 tuberculosis (which is frequently comorbid with HIV) and cancer, for which interesting developments based on a natural product - the indigenous South African Combretum caffrum tree - are underway. The research on natural products undertaken between 1950 and 1990 will be discussed briefly. For the first 20 years of this period the field was dominated by the research groups led by Professor Frank Warren (1941-1965, University of Natal, Pietermaritzburg; Figure 3) and Professor Manie de Waal (Pretoria University). Both research groups concentrated on alkaloids and their mode of action as toxic substances. Another group at the NCRL, under the guidance of Dr Piet Enslin, examined diverse industrial and fundamental applications of natural products, for example, the compound cucurbitacin B. Cucurbitacin B is a livestock poison; it has a very bitter taste and anti-gibberellic activity, that is, it inhibits plant growth and is therefore industrially important. At the Leather Research Institute, which was affiliated to Rhodes University, Professor Dawie Roux (Figure 4) made great advances in understanding the polymerisation mechanism of tannins (obtained primarily from Acacia species and used in the tanning of leather). 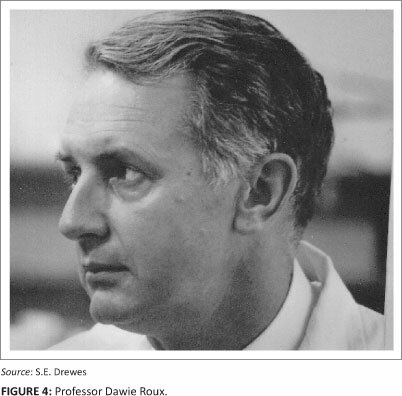 In 1968, Roux moved to the University of the Free State where he was ably assisted by Daneel Ferreira (now professor at the University of Mississippi) and a string of talented postgraduate students. Towards the end of this period, there was a clear trend towards the use of natural products for industrial purposes. Thus tannins (a natural product) were utilised as the phenolic component of novel phenol-formaldehyde glues. In order to show the diversity of natural products which attracted the attention of South African researchers in the years nearing the 1990s, it is of interest to overview the research during this time. In Cape Town, Professor Alistair Stephen continued his long-standing work on polysaccharides (many of these from indigenous Acacia species), Professor Douglas Rivett (Figure 5), at Rhodes University, uncovered unique compounds from the Lamiaceae (our common 'wild dagga' types), Professor David Taylor (ex Ghana) and Professor Dulcie Mulholland (both at the University of Natal, Durban) refined the work on liminoids and Mulholland then made new inroads into the Amaryllidaceae and Hyacinthaceae families. Professor Chris van der Merwe Brink, in Bloemfontein, studied fish poisons from the Pterocarpus genus, whilst Professor Guido Perold at the University of the Witwatersrand performed some elegant structural elucidations of compounds in the Proteaceae. Then, in 1987, the situation changed: as a result of a 'restructuring' policy within the government, the NCRL in Pretoria ceased to operate as it had done previously. The restructuring meant that a more industrial approach to research would be pursued. This approach had the effect of disbanding the prominent research group now operating under Dr Piet Steyn (Figure 6) together with valuable coworkers such as Drs Cedric Holzapfel, Robert Vleggaar, Wessel T. de Kock, Fanie van Heerden and Kirsten J. van der Merwe. 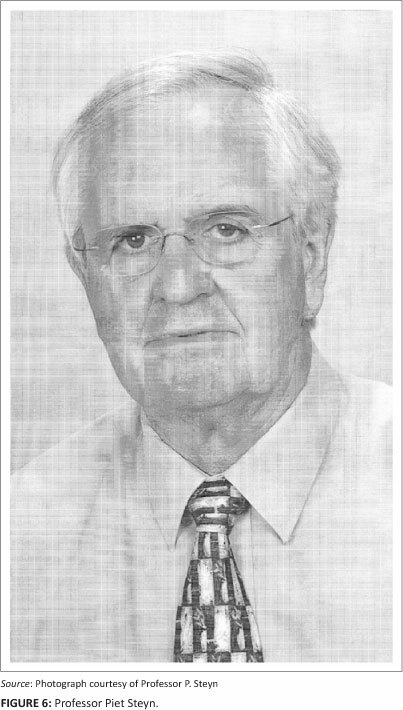 Cedric Holzapfel went on to become the first Professor of Organic Chemistry at the new Rand Afrikaans University, and Dr Piet Steyn, at this stage of his career a world authority in the field of mycotoxins (food poisons found in stored grains, animal feedstuffs and beer brewed from contaminated grains), relocated to Potchefstroom and later to Stellenbosch. The period between 1991 and 2010 was the end of an era for some stalwarts, but it rang in the time of the new generation of researchers with their eyes fixed on the stars. In 1994 the new democratic government became a reality, and, coupled with this, came open access to all universities. Various mergers took place and it soon became evident that students from previously disadvantaged universities were keen to advance their knowledge. In particular, there was a renewed interest from Black students to study chemistry insofar as it was relevant to the field of traditional knowledge (i.e. 'muti chemistry'). A good illustration of this interest is personified by two young students enrolling for PhDs at the University of Natal (as it then was) in the field of natural products. These were 'Tiny' Sehlapelo (ex Roma and Queens College, Canada) and Jeff Mashimbye (ex Fort Hare and Rhodes University). Both completed their degrees in 1994. 'Tiny' was responsible for unravelling the structure of the major component in black stinkwood (Ocotea bullata) bark (uNukani in isiZulu).11 The bark is used traditionally, amongst many other uses, to relieve headaches, and has been shown subsequently to have good anti-inflammatory properties, thus confirming the validity of its traditional use. 1. Studies towards the synthesis of naturally occurring homoisoflavanones (C.-M. Kuo, University of the Free State). 2. Approaches to the total synthesis of arzanol, a phloroglucinol derivative from Helichrysum (Z. Mkhize, University of KwaZulu-Natal). 3. The development of novel pterin chemistry leading to potential dihydrofolate reductase inhibitors (W. Nxumalo, University of the Witwatersrand). 4. The medicinal and taxonomic significance of major chemical compounds in the roots of Arctopus species (D. Olivier, University of Johannesburg). Despite the new interest in the chemistry of natural products, and the resultant increase in knowledge, it has to be acknowledged that there were also 'disappointments' - the successful exploitation of several of our indigenous species outside of South Africa. These exploitations include the antibiotic pimaricin (produced by the bacterium Streptomyces natalensis), MckaloaboTM from the plant Pelargonium sidoides and combretastatin from the plant Combretum caffrum. Pimaricin is a macrolide antibiotic; it is used worldwide as a fungal antibiotic against yeasts and moulds but has no effect on bacterial activity. It can therefore be added to foodstuffs that undergo maturing over time (e.g. in the ripening process of cheeses and fruit). This mould (Streptomyces natalensis) was collected from soils around Pietermaritzburg in 1957 by a group of Dutch microbiologists working for the Royal Dutch Yeast and Fermentation Industries in Delft, the Netherlands. The British patent (Patent No. 944289) was granted on 06 March 1957. The patent application does not mention how many samples were collected before they 'struck gold'. Pelargonium sidoides, a native to South Africa, was first taken to England in 1897 by an Englishman, Charles Henry Stevens, who suffered from tuberculosis.12 Today, the extract of the plant, known as MckaloaboTM is sold all over Europe, but particularly in Germany, as a cure for pulmonary diseases and tuberculosis. The major active components of the plant are known and the product is under patent to Spitzner Arzneimittel, Ettlingen, Germany. Further patents were granted in 2010 to the firm Dr Willmar Schwabe, Germany. It is ironic that South African scientists did not uncover the potential of P. sidoides, given that it has long been in use by the Zulu people to treat gonorrhoea, diarrhoea and dysentery. The missionary Gerstner13, in his book published in 1939, also claimed that root concoctions of P. sidoides were used traditionally to treat sore throats. Sadly, the commercialisation of P. sidoides was a missed opportunity for South Africa. The compound combretastatin was first isolated from the root bark of the indigenous tree Combretum caffrum (bush willow) in the early 1980s by Pettit14. Subsequently, other constituents of the plant were isolated, the most active one being combretastatin A-4. Two of Pettit's coworkers at the Arizona State University were Gordon Cragg and Margaret Niven, both students from South Africa. In 2010, Cragg was awarded an honorary doctorate by Rhodes University. In spite of all the knowledge accumulated from the study of South Africa's indigenous flora, no single-component, commercially marketable drug has emerged from this country. Now is an opportune moment to re-assess the situation and consider future prospects. 1. The chemistry must be well established. 2. The biological activity, whatever its nature, needs to be beyond doubt. 3. The mother plant should preferably be suitable for large-scale cultivation. 4. A synthetic procedure must be in place if cultivation is not an option as a result of low yields. 5. The whole system should be under patent protection. 1. The product, or group of products, isolated from Sutherlandia frutescens. 2. Vasorelaxant pyrano-isoflavones from the shrub Eriosema kraussianum. 3. The compound known as rooperol from Hypoxis hemerocallidea, on account of its perceived ability to detect early tumours. 4. The appetite suppressant from Hoodia gordonii which promised so much initially, but has fallen somewhat 'flat'. It needs a second look. 5. Antibacterial substances with good activity against a variety of bacterial infections. The genus Helichrysum is a particularly rich source of these chemicals, as are some compounds from Warburgia salutaris and Gunnera perpensa, to a lesser extent. 6. Marine products derived from a variety of plants and animals. Sutherlandia frutescens is a popular traditional medicine and derives its common name, 'cancer bush' from its long established (since 1895) use as a cancer tonic. Van Wyk and Albrecht16 currently are working on this plant. Other uses of the plant include its use as an appetite stimulant (e.g. in persons with HIV/AIDS) and for the treatment of dysentry, kidney conditions, diabetes, internal cancers, liver conditions, uterine-related conditions, and stress and anxiety. The constituents of the plant are a high level of amino acids, canavanine (a non-protein amino acid), the cyclitol pinitol, a variety of flavonols, and triterpene glycosides (cycloartanes). The published biological acitvities of these compounds confirm the traditional uses of the plant. A whole extract of Sutherlandia (as opposed to a single component), supports its continued use (maybe in a refined form) as a tonic by people with cancer or HIV/AIDS. The situation here is not unlike that of Pelargonium sidoides and 'Mckaloabo'TM (that is, more than one compound is present in the mixture); Mckaloabo is used for the treatment of tuberculosis and is patented by the German company Dr Willmar Schwabe GMBH & Co. It is of interest to note that this company had, at the time of writing this review, released a statement saying 'In order to avoid being the scapegoat in a continuing debate on principles that we cannot resolve, we have decided not to pursue a total of five patents.' In addition, the statement reads 'We have decided to further extend our long-standing social projects in South Africa on a lasting basis by establishing the Umckaloabo Trust - For a Healthy Future'. It seems that the time is right for South African pharmaceutical companies to grasp the nettle and proceed in a similar way. For example, large-scale cultivation of Sutherlandia is now being pursued by Phyto Nova (Pty) Ltd, although small-scale cultivation and commercialisation of Sutherlandia started as far back as 1990 in the Cape Province. Studies on the indigenous shrub Eriosema kraussianum were motivated at the University of KwaZulu-Natal (UKZN), Pietermaritzburg, by the knowledge that indigenous healers in this province have long used an extract of the roots of the plant to combat impotence. The yields of Kraussianone 1 and 2 from roots of Eriosema kraussianum are low, and harvesting is not easy, so the synthesis of these compounds is of paramount importance. Synthesis has, in fact, been achieved,19 which places a very different perspective on the whole project. Already, at this stage, Eriosema extracts are available commercially, but the synthetic material opens up a completely new opportunity. Professor Marion Meyer, at the University of Pretoria, is actively investigating the activity of novel xanthones isolated from the bark of the tree Securidaca longepedunculata against erectile dysfunction. Rooperol is the hydrolysis product from the compound hypoxoside obtained from the rhizome of the plant Hypoxis hemerocallidea (Figure 7), commonly called the 'African potato'. Traditional healers have been using an aqueous extract of this rhizome for many years to combat aliments such as benign prostate hyperplasia, testicular cancer, cardiac diseases and intestinal parasites. More recently, aqueous extracts have become a bestseller for boosting the immune system; one such over-the-counter product used for this purpose is ModucareTM . Today, more than a dozen products, all containing an extract of Hypoxis, are sold by pharmacies in most areas of the country. The active component of the plant, rooperol, is also used as an antioxidant, anti-inflammatory, antidiabetic and anticonvulsant.20 Recent work by Dr Edith Elliot and coworkers at the Department of Biochemistry at UKZN has cast new light on the ongoing dispute as to whether or not rooperol is an antitumour agent. Unpublished and ongoing work has shown promising results on normal and premalignant breast cancer cells using rooperol as an indicator. 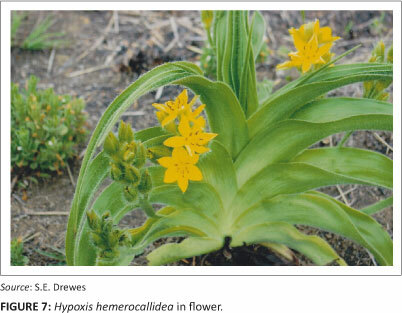 Maybe this work on Hypoxis, together with that of researchers at the Nelson Mandela Metropolitan University in Port Elizabeth (Professor M. van de Venter and colleagues) will finally produce a unique 'drug' from Africa. Hoodia gordonii is a rare succulent plant (Figure 8) which grows in the Kalahari desert area of southern Africa. 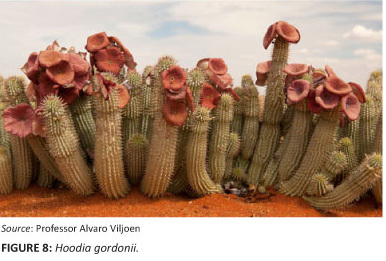 Although the effect of Hoodia as an appetite suppressant has long been known to the San inhabitants of the Kalahari, these effects were virtually unknown to the Western world until the early 1960s. Fanie van Heerden and colleagues21 at the CSIR were able to isolate an active component from Hoodia gordonii named P57. This finding was patented in 1998. (Van Heerden is now a professor at UKZN in Pietermaritzburg.) The CSIR granted a sublicence to Pfizer in order to do further chemical development on P57, but this was relinquished in 2003. Later that year, the CSIR responded to criticism of its appropriation of San indigenous knowledge by signing a memorandum of understanding with the South African San Council. Today, over-the-counter preparations supposedly containing Hoodia extracts can be purchased and there is a growing demand from the international market for Hoodia material. The plant is cultivated in dry parts of the north-western Cape, as well as in neighbouring Namibia and Botswana. Although the commercialisation of Hoodia was one of the most exciting events of South African ethnobotany, Hoodia's full potential as a product never really reached fruition. But the possibility still exists that it may one day do so. Here, new antimicrobial compounds from a variety of sources, but mainly from the Helichrysum genus, will be highlighted. 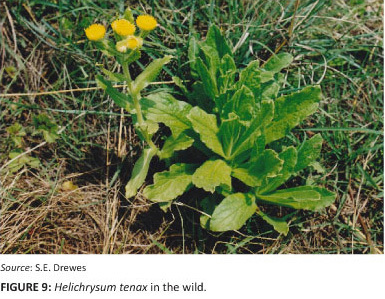 The South African representatives of this genus were examined for their chemical constituents from 1955 to 1980. During this period, a German professor from the University of Berlin, Professor Ferdinand Bohlmann, made numerous trips to South Africa. With the assistance of Dr Olive Hilliard, Curator of Bew's Herbarium at the University of Natal (as it was then), they crisscrossed the mountains and dales of Natal and collected numerous Helichrysum species. Bohlmann isolated a host of new compounds and published countless articles in the journal Phytochemistry (see for example, Bohlmann and Mahanta22). 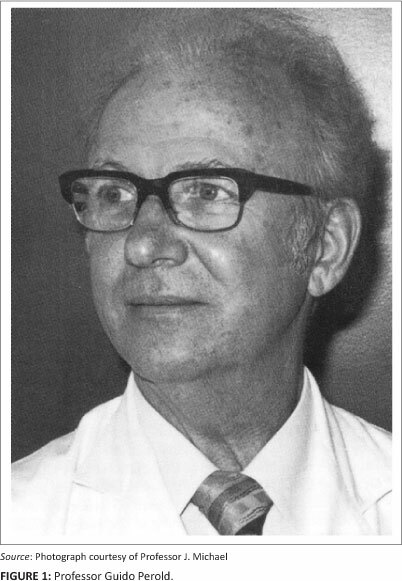 During Bohlmann's time, not a great deal of testing for biological activity was undertaken. This area of phytochemistry has, however, become very active and several authorative publications are now available, for example, van Vuuren23 and Lourens24. 5. acylated phloroglucinol from Helichrysum caespititium (Mathekga and Meyer28, University of Pretoria). In her definitive article on the antimicrobial activity of South African medicinal plants,23 Professor Sandy van Vuuren concludes that, to ensure future success in natural products research, interactive phytochemical studies must be incorporated with existing practices in the hope that developments involving combinations may be used as a foundation and driving force in the search for novel chemotherapeutic agents. And so, the challenge has begun. 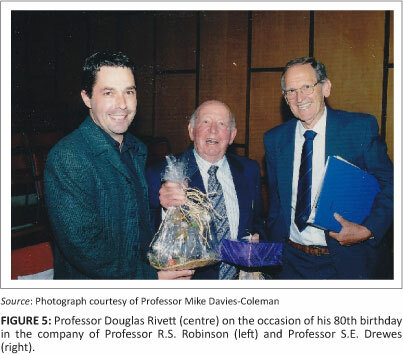 Mike Davies-Coleman at Rhodes University. It is the only programme of its kind in South Africa. Worldwide there is great interest in this area as the deep sea has been the source of an increasing number of novel compounds. A review such as this is incomplete if it does not point out the tremendous influence which the books on medicinal plants of South Africa by Professor Ben-Erik van Wyk et al.30 (University of Johannesburg) have had on advancing the subject. A highly abridged version of this article, suitable for high-school learners, has been published by the author in Quest. 2011;7:21-23.